LOUISVILLE — Where Are You Hiding, God? by Elisabeth Zartl is now available! In this new children’s book from Westminster John Knox Press, described by Foreword Reviews as “sweetly profound,” Elisabeth Zartl tells the story of a young girl who is trying to find God. The young girl searches in the house, in the bathroom, and in the garden, without any luck. But just as she gives up hope, she finds God. For a child, the knowledge that someone they cannot see is with them can be a difficult concept to grasp. 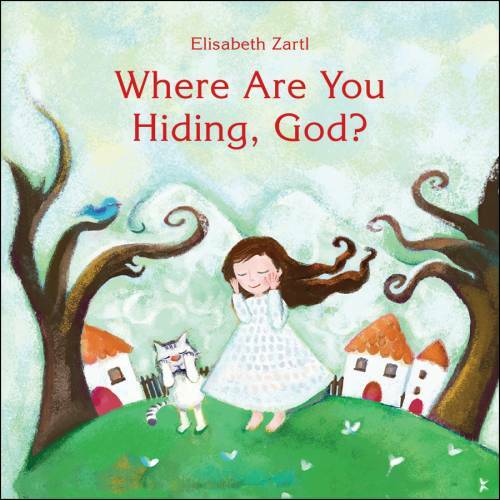 However, Zartl’s simple approach to the topic helps young readers understand that they can feel God’s presence wherever they are. Ideal for ages 3 and older, Where Are You Hiding, God? features beautiful artwork that encourages children to explore and name the various animals and household items they discover while looking for God. Where Are You Hiding, God? is now available for purchase through Westminster John Knox Press and other major retailers. Elisabeth Zartl has studied religious education, psychology, philosophy, and graphic design. She is currently a teacher and freelance artist in Vienna, Austria, and has authored and illustrated several children’s books. More information can be found on her website: www.elisabethzartl.com.